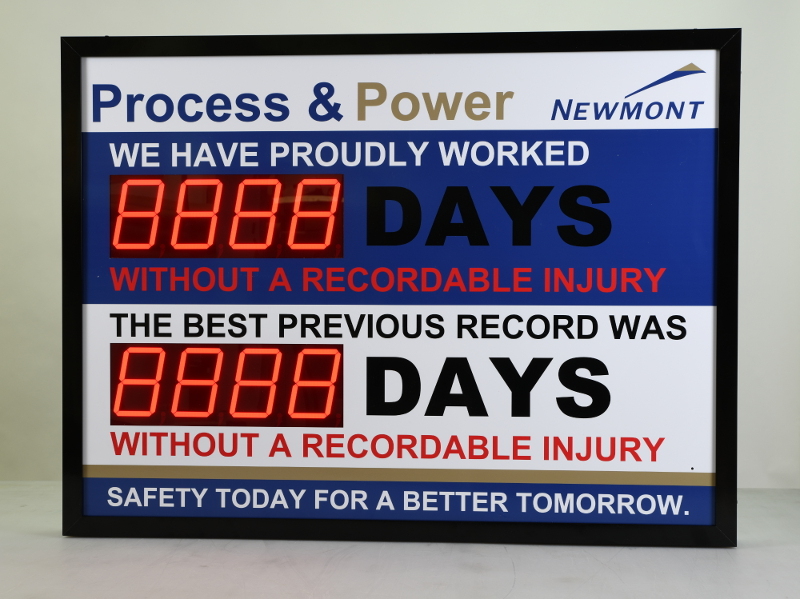 Proudly display your days without accident and a previous record or track two different departments with the 5” displays. Easily customize this sign online. Lead the way, safety today. 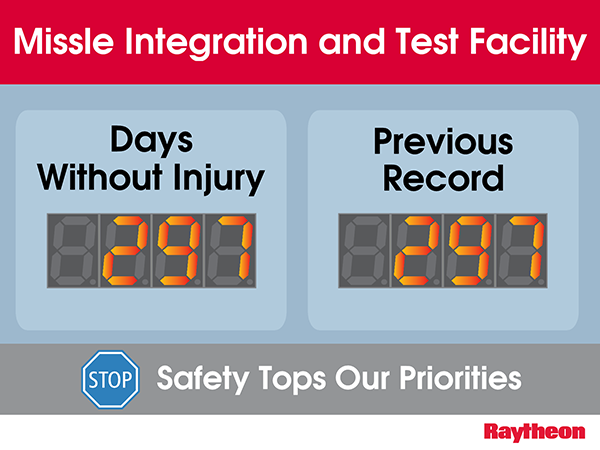 A well implemented safety program can help decrease the number and overall cost of accidents. Part of any safety program should be well placed eye catching signage that helps call attention to your established safety practices. 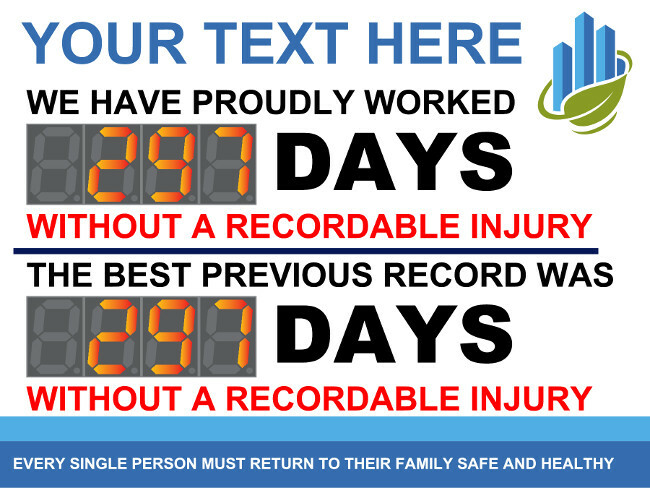 One of the best ways to do this is with a digitally controlled safety scoreboard. 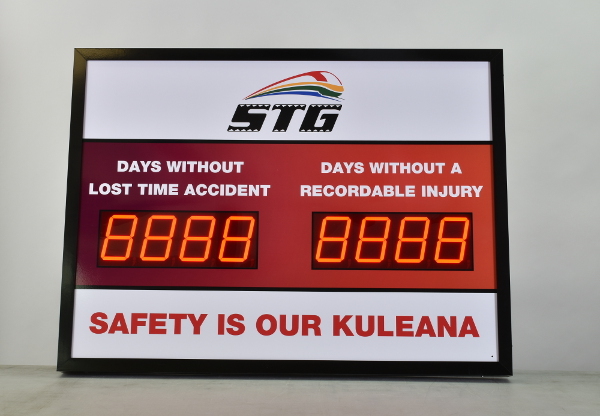 This 36 inch high by 48 inch wide scoreboard has two 5" tall counter modules to track your safe days metrics. 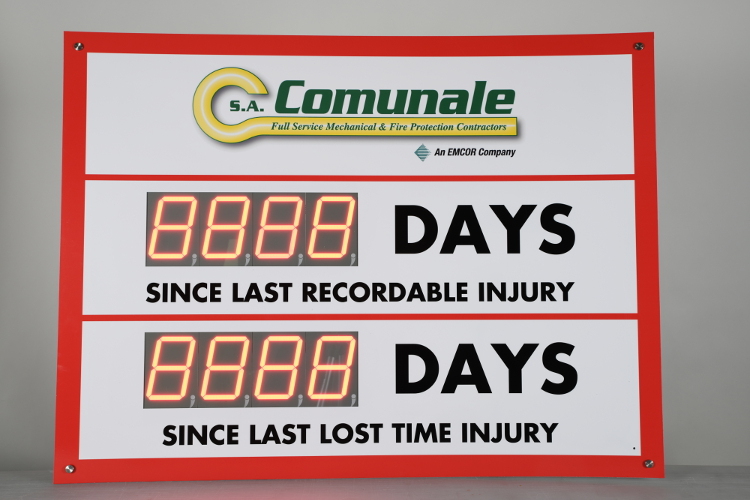 You can use one counter to track days without a lost time injury, and another to track days worked without a preventable accident. 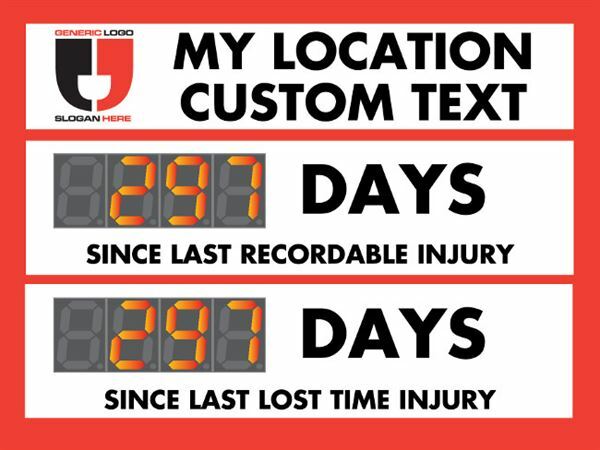 Others options include tracking the current days without an accident, and a previous record, or count the days without accident for two different departments. Use our online designer to make this sign your own and define what safety metric each counter represents.